MGA&D looks for new design projects in overlooked areas and found a great opportunity to make better use of the under-sink cabinet. 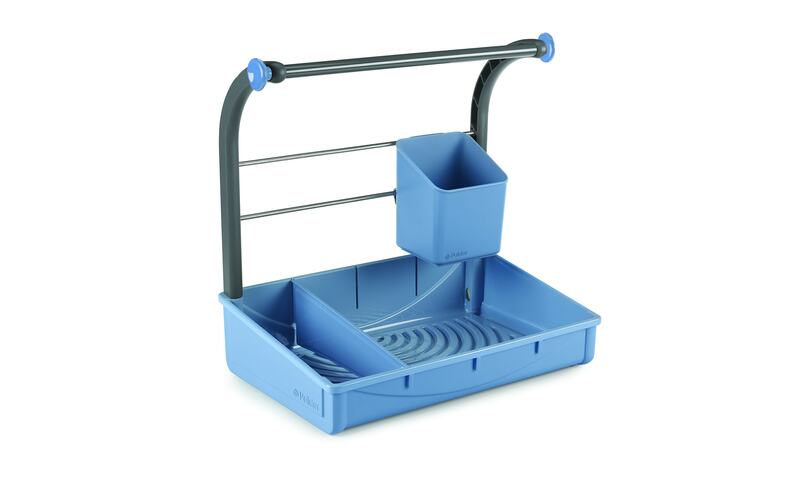 The Polder Under Sink Storage Caddy is loaded with unique and innovative features and benefits. Its greatest value is in its versatility. While in the cabinet, the caddy organizes a typically underutilized, messy area. Since the Caddy is not mounted within the cabinet, it doubles as a cleaning caddy already loaded with supplies used anywhere in the house. Storage space is coveted in most households. Because the drainage pipe is right in the middle of the cabinet, under sink storage is typically underutilized and notorious for being a cluttered mess full of cleaning supplies, plungers, and other items. The Under Sink Storage Caddy for Polder transforms the cabinet under the sink into an efficiently organized, useful space. 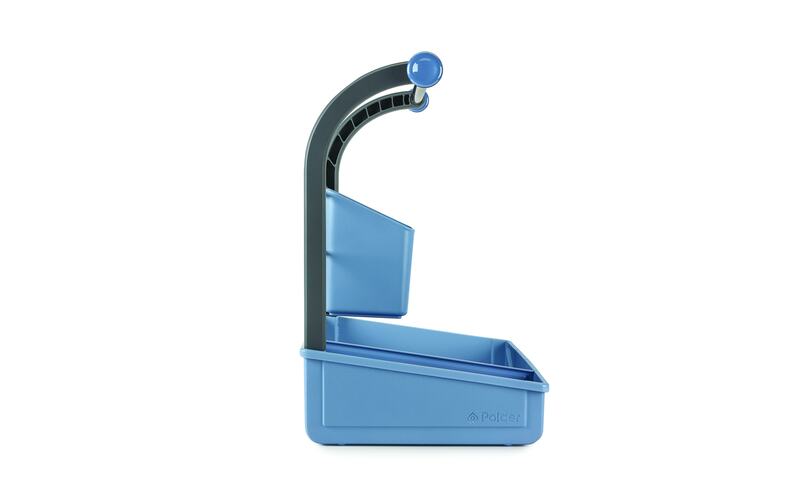 Reminiscent of a classic tool box form, touch points like the easily reachable knob and handle enable users to avoid having to bend down to pull things out from under the sink. 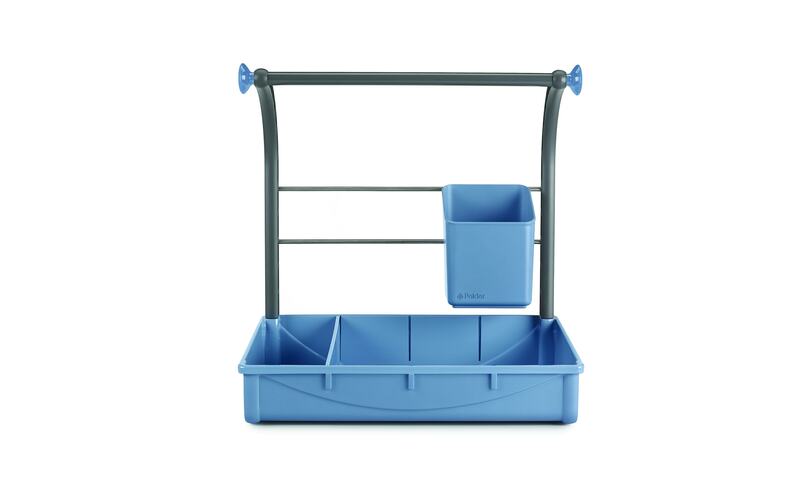 The modular bucket and divider insert allows users to separate wet and dry items and flexibly organize all cleaning items. The removable, gloss finish compartments are easily cleaned and sanitized.